--Buy 2 or more pairs of shades, save 10% with coupon code "NICESHADES2"! --Buy 5 or more pairs of shades, save 20% with coupon code "NICESHADES5"! --Offers valid on full-price shades only. 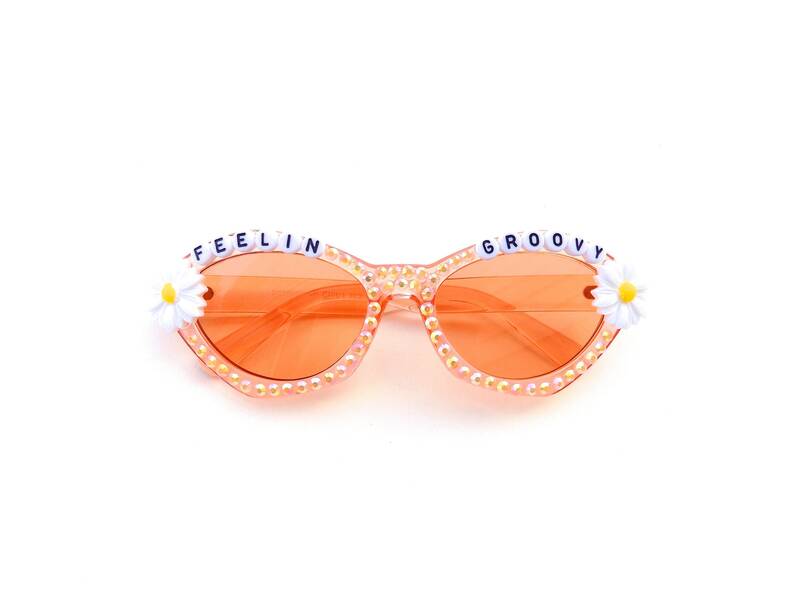 These adorable sunglasses have been hand decorated with the words "Feelin' Groovy" daisies on each side. 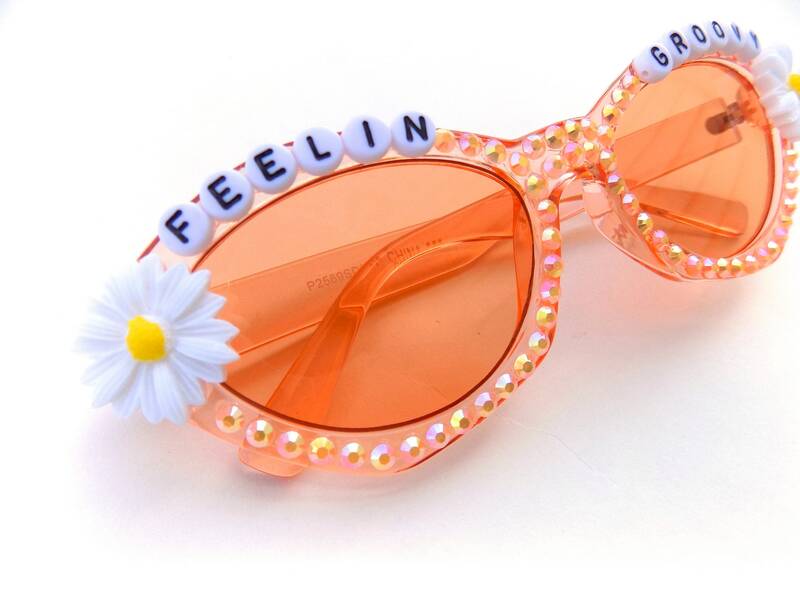 Iridescent orange rhinestones encircle each lens. 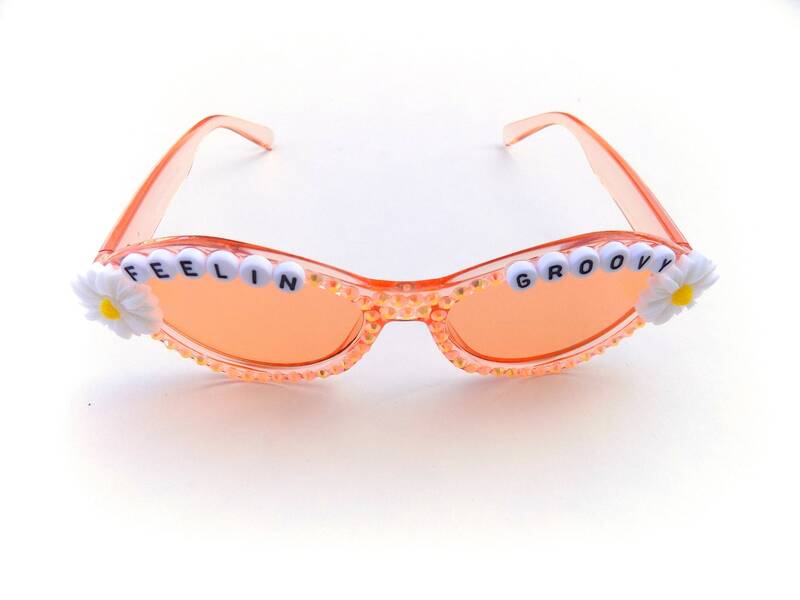 Frames are orange plastic with tinted orange lenses. All decorations are fastened securely using industrial strength glue; built to last!